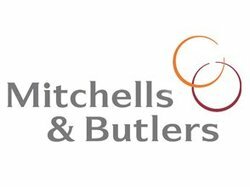 Pubs group Mitchells & Butlers has apparently fought off several bid attempts already in its short life as an independent. Spun out of Six Continents in 2002, MAB brands include O’Neill’s and All Bar One. Dividend payments are currently suspended. The Board is mindful of the attraction of dividend payments and will continue to monitor net cash flow generation, particularly in light of the triennial pensions valuation as at March 2013 before taking a decision on timing and quantum.